← How to set the page height while converting rtf to pdf? Because of their capacity to be viewed across different computers with varying operating systems and software, pdf files are commonly used to communicate information. pdf files are popular for use in distributing manuals and handbooks because of their reduced file size. Occasionally, you might have a need to edit a PDF file by removing irrelevant pages. 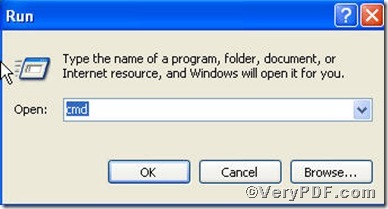 This article will explain how to remove pages from a pdf files via Advanced PDF Tools Command Line. 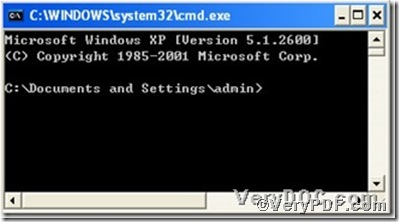 After you get extractable folder, you can operate this function by launching the MS-DOS command prompt window in your computer. The picture will help you. Here goes the crucial part-input the command line, it is quite simple and could be found in Advanced PDF Tools Command Line User Manual that you already downloaded to your computer. pdftools -i "C:\input.pdf" -o "C:\output.pdf" "-&" "1,2-4,9"
Where 1,2-4,9 refers to the irrelevant pages, you can put as your requirement. So far, you can check the text.pdf, its pages has been downsized from 16 to 11, where 1,2,3,4.9 were removed. 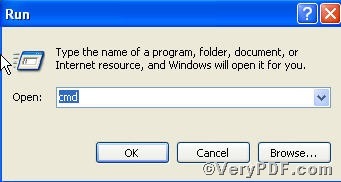 If you have any questions about how to remove pages from pdf file via Advanced PDF Tools Command Line, please feel free to contact at http://www.verypdf.com. 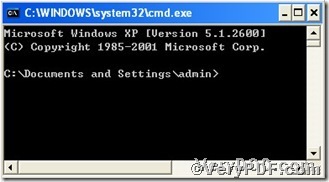 This entry was posted in Advanced PDF Tools and tagged Advanced PDF Tools, command line. Bookmark the permalink.